/ Modified jan 9, 2019 1:51 p.m.
A Pemex gas station near the city of Nogales, Sonora. 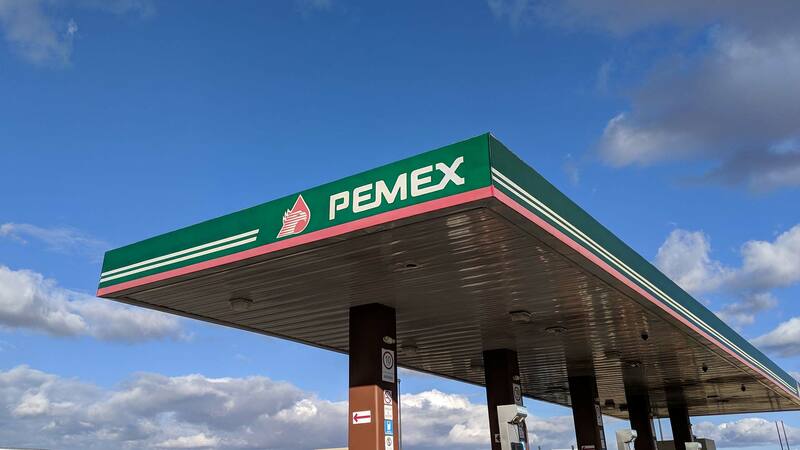 Mexico’s new president has promised to lower gas prices in cities bordering the United States as part of a plan to boost the economy in the border region. But drivers in Nogales, Mexico, won’t find gas prices on par with those in neighboring Nogales, Arizona, just yet. That’s frustrated some people who expected the border stimulus plan to go into effect starting Jan. 1. The cost of gas did dip slightly in the new year across Mexico’s northern border. But prices still average nearly 16 pesos per liter, or about $3.10 a gallon. That’s about 40 cents more than drivers are paying in Nogales, Arizona, on Tuesday. But Luis Muñoz, president of the Sonoran gasoline sector association, is calling for patience. “We know the announcement of the Mexican government is to equalize the prices, but it has to take some time to make it happen,” he said. He didn't have a timeline for when gas in the border region would reach similar prices to neighboring cities north of the border, but he said it's better to make changes slowly than to implement lower costs prematurely. The Mexican government published a decree Monday detailing its border stimulus plan, but gas stations are still figuring out how to apply it at the pumps, Muñoz said.